Produced by ( Casina di Cornia - TUSCANY ). This small estate looks over Val d’Elsa, endowed with deep soil composed of chalk and clay. A perfect jewel of a wine with strong structure and complexity made to age. Its rich complex fruit and strong tannins, coupled with sophisticated aroma and layers of taste, smells and sensations bring on a Proustian experience. Italian oenologists rate it alongside Sassicaia (at a fraction of the price!) – but being produced in very small quantities it is something of a guarded secret for connoisseurs. 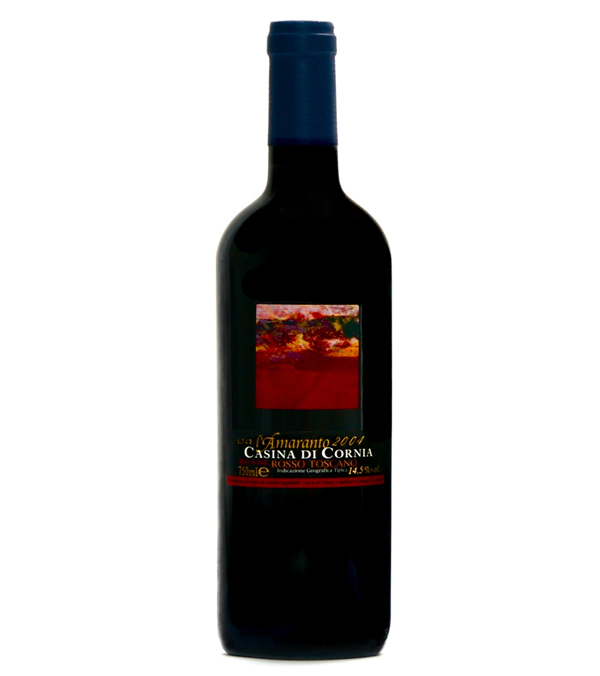 Full, ruby red, with balsamic, blackberries, balsamic wood, cherries its full but soft tannins persist on the palate. This small estate has been certified organic since 1983 and is in fact biodynamic. They grow crops and graze animals in the vineyard and have dispense with copper sulphate altogether.